Description: This lot includes up to 6 bespoke jumpers, inspired by the Duke of Devonshire's unrepeatable slogan jumpers ('Never Marry a Mitford') that were stars of the extraordinary 2017 exhibition 'House Style: Five Centuries of Fashion at Chatsworth'. Many members of this illustrious family have been dressed by Huntsman, and the exhibition also featured a re-creation of Huntsman riding breeches belonging to Adele Astaire. Each cashmere and cotton jumper will be created to the measurements of each family member. 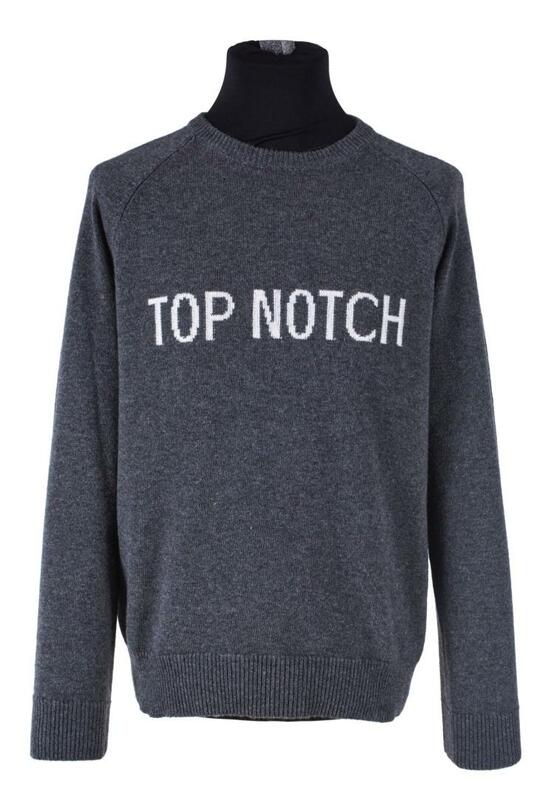 The buyer will choose their own tongue-in-cheek, unrepeatable quote for each jumper, making for endless fun conversations thereafter. The jumper displayed here is for illustration purposes only, your own bespoke designs will take 6-8 weeks to be made.